We have stylus-controlled tablets and touchscreen tablets, but what about tablet devices that use both? Microsoft’s Manual Deskerity project combines the powers of the pen, touch, motion sensing, and voice input on a Microsoft Surface device to create a versatile system that has nearly limitless applications for designers, artists, and anyone else who values precision in their tablets. 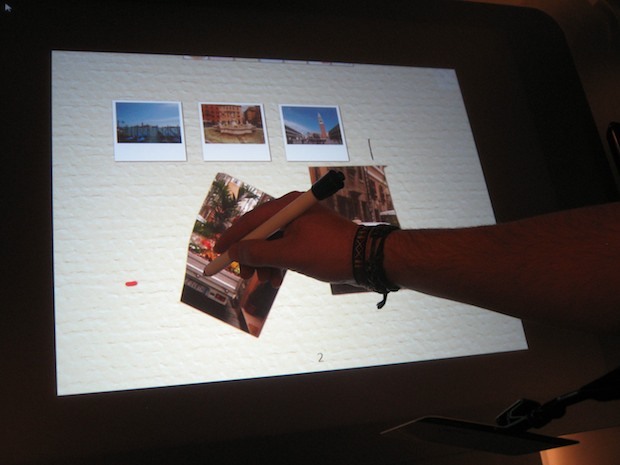 The device, which was displayed at this week’s Silicon Valley TechFair, offers a number of pen-and-touch combo features that aren’t possible using just one or the other–stapling, straightedge, brush, stamp, and X-acto knife (hold a photo in place with your finger while cutting it with the “knife”). So is this an iPad killer? Probably not. Plenty of people don’t need all the features that the Manual Deskerity project provides. But keep an eye on Microsoft–this could easily become a top-notch competitor.